Roulette online and live roulette in online casinos are not significantly different from the one, which is played in casinos all over the world. However, its rules may vary from country to country, from one casino to another. The best part about an online version is that it is absolutely free of charge and you can use a trial version before making a deposit. This free online roulette is available in most of the casinos and you can either download the game or use a flash variation. The history behind creating this unique game is more than interesting. Originally, the word ‘roulette’ is of a French origin and means ‘little wheel’. This word appeared in the 18th century due to Blaise Pascal and his motion machine, which had a circular shape. First, it was played across Europe and reached the US only one century later. This is one of the reasons why European roulette is so popular. This red and black wheel conquered minds of thousands of players due to its simplicity and speed. However, Americans decided to improve the game and added a green pocket, which lead to creation of two variations, as we know them: European and American roulette. Now it is played in casinos all over the world and has remained the most popular game for centuries. European roulette is one of the most popular and yet simplest casino games ever, so you won’t find its rules difficult or complicated. The main idea is to place your bets and wait until the ball lands on a certain number on the wheel. However, you shouldn’t consider this game purely a game of chance, because further we are going to discuss the main strategies and tips of how to get maximum out of the game! In online roulette you can bet on a single number or a range of them, on black or red, on even or odds and so on. Most people bet on numbers, which are important for them, like birthdays, anniversaries and much more. Others prefer to stick to ‘zero’. There is a chance to make inside and straight-up bets, split, street or corner bets and many others. The wheel differs according to the place, where it originated from and two variations are called American and European roulette. For example, in the first variation, the wheel has an extra space, called the ‘double zero’ with an extra 00 slot. It is called a 38-pocket wheel. The European online roulette games have a 37-pocket wheel and has only one zero pocket. However, the main difference is the house edge: while in American version it makes up 5,26%, a European version has 2,7%, which makes it more attractive and easier to win. European version also has the ‘En Prison’ rule and it appears when the player makes an even bet, when the ball lands on zero. When the bet is completed, it is ‘imprisoned’ until the next bet wins. In such a case, the player gets a chance to have his imprisoned chips back. This is very important when you’re playing for real money. Keep in mind that with European online roulette you have more chances to win. In addition, there are such variations of online roulette as California, Vegas, French roulette and much more. Most of the casinos will surely advice you to choose a European roulette to start with, because it will increase your profits faster and your funds will be safer. You are almost right to think that roulette is a game of luck and it is very difficult to predict the outcome. However, there are dozens of strategies, which help experienced players to win. These strategies aim to tell players where to bet. 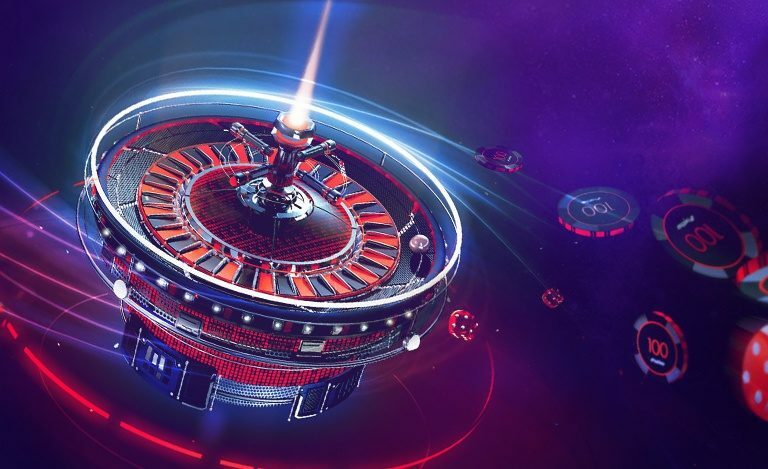 Today we will describe five main strategies, which can be used both by professional players and by those, who are only getting familiar with casino roulette online. The D’Alembert strategy. This strategy is safer than others and is based on arithmetical principles. The main rule is to increase your bet by 1 every time you lose. As an even chance betting strategy, you can place your bet on even or odd numbers. Every time you win, decrease your bet and vice versa. For example, if you bet NZ$10 on black and lose, you bet NZ$11. If you win, get back to NZ$10 on black again. Eventually, the number of your wins and losses will be equal and you will have a profit. The James Bond Strategy. Ian Fleming, author of James Bond series, states that this strategy will guarantee you a good dinner every time you play. However, you need to have minimum NZ$ 200 to use this strategy. First, you need to bid NZ$140 on numbers from 19 to 36. Then place $50 on numbers 13-18 and $10 on 0. You will lose only if the number is between 1 and 12. In other cases, you will win NZ$ 80 if the number is 19-36, $100, if 13-18 and $160, if 0. Apply Martingale strategy if you lose. As you see, all these roulette rules and strategies have both benefits and flaws, so you need to study them carefully before applying on practice. However, you need to remember that these strategies don’t guarantee that you will make a profit, so you should always remember that it is just a game, created for you to have fun no matter if you are going to play online or live roulette. Have fun! Too many players concentrate on the result, forgetting that it’s not about the money: it’s about the pleasure and joy they obtain, while playing their favorite games! Roulette is just a game, so you need to enjoy the process regardless of whether you win or lose. Surely, you can intentionally win at the online casino, but with games of pure luck such as online roulette games, the main rule is to have a nice time! Another useful advice will be to pay attention to how other users play. Their approach, behavior and commends can help you shape your own rules. In the end, no one else knows your aspirations better than you do.